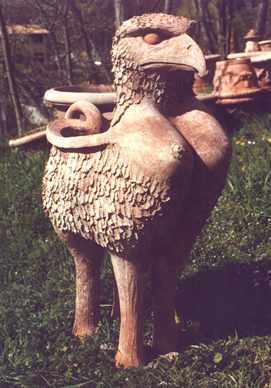 ​The geological conditions of Impruneta have resulted in a soil whose chemical compound is unique. 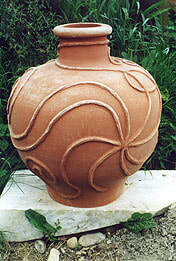 When this native clay - locally called "terra turchina" (blue earth) - is fired, the clay, because of its high limestone content, assumes its distinctive terra rosa color. 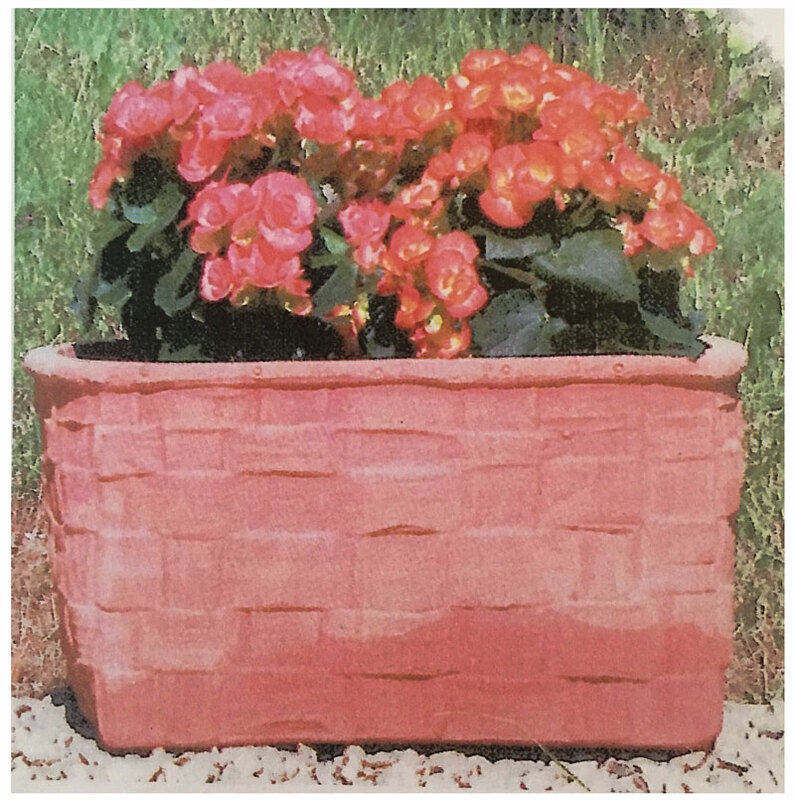 The high limestone content of the clay also results in a pottery that has excellent porosity and is extremely durable and weather resistant. 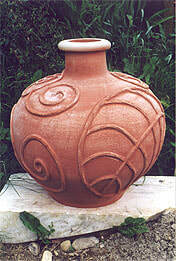 All the pottery shown is hand molded or thrown by hand, then hand finished. 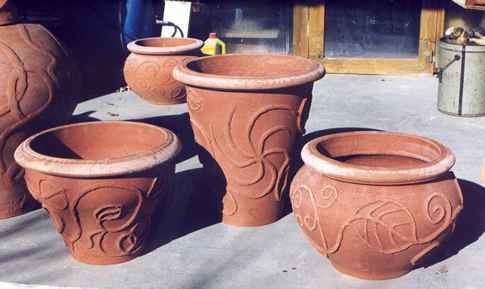 Some of the pots are charming in their rusticity, the hand-made irregularities adding to their character. 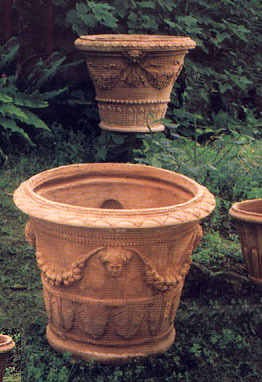 Many of the pottery designs are classic and have been used in Italian gardens and loggias for centuries. 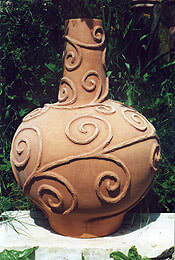 The modern designs are inspired by tradition and by Italy's and Europe's most elegant contemporary styling. 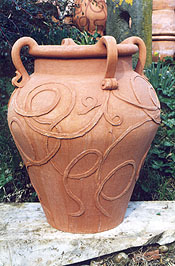 ​I offer the terra cotta form some of the best craftsmen of Impruneta, including Impruneta's premier pottery Poggi Ugo. 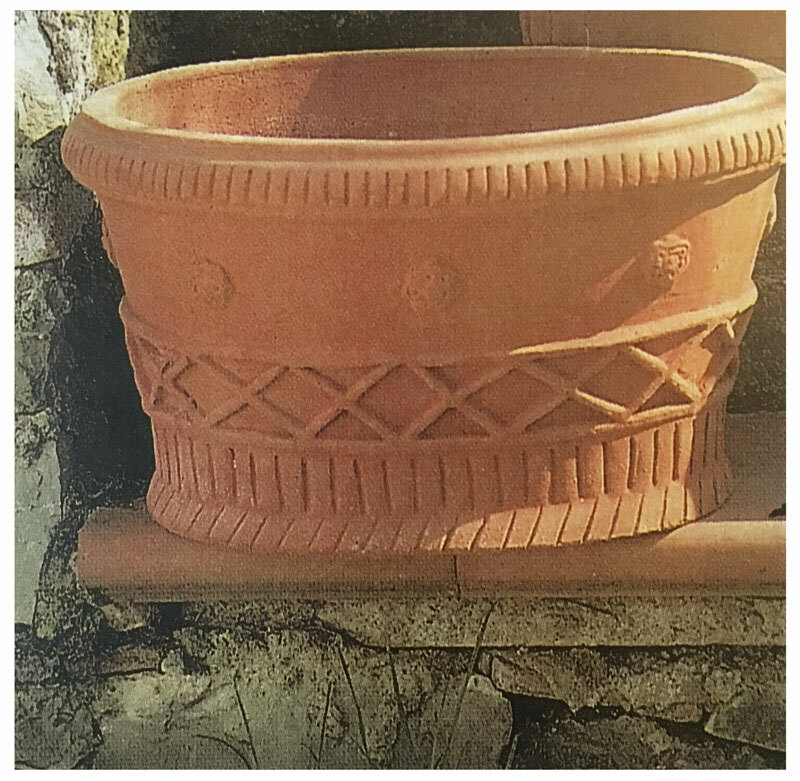 ​​After visiting many terra cotta kilns in Impruneta, I found that POGGI UGO clearly offered the widest range of styles created by Impruneta's finest artisans. 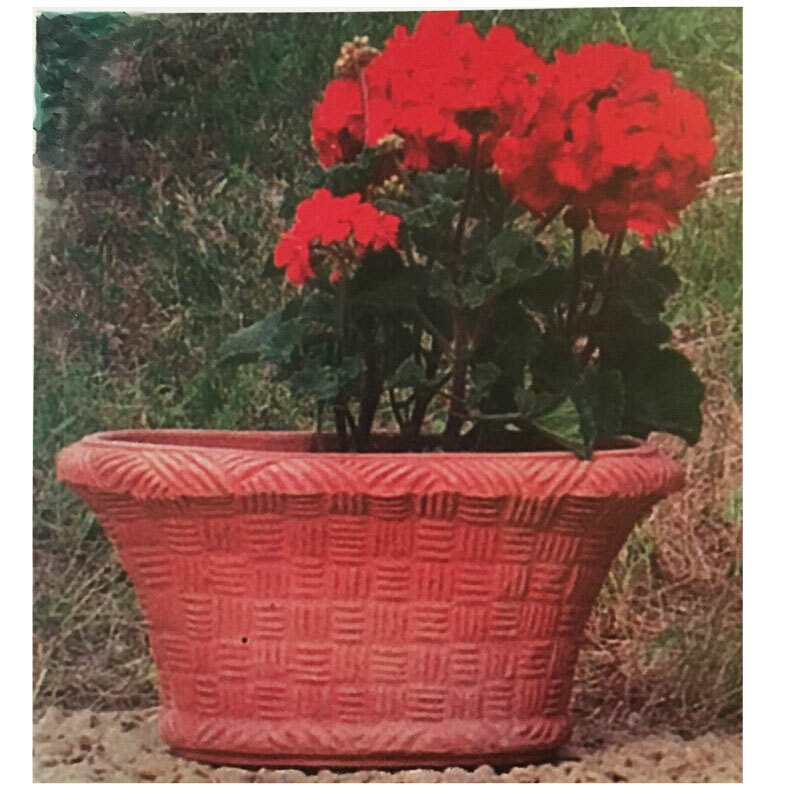 The workmanship at Poggi is the VERY BEST Impruneta has to offer with sophisticated styling, classic and modern designs, beautiful proportions and superb finishing. 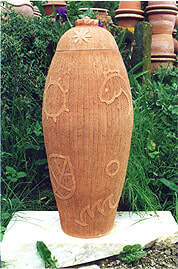 The building which houses the current Poggi kilns dates back to the 1500's. 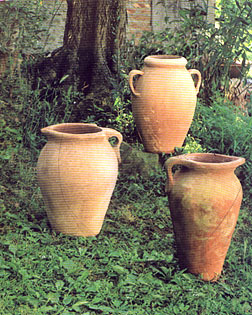 Owned and worked by the same family since 1919, Poggi Ugo is one of the oldest kilns in Impruneta. 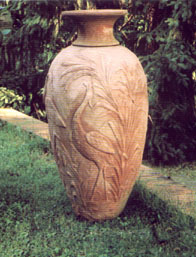 In 2019, the fifth generation of Poggi Ugo's family will celebrate their 100th year of artistic tradition. 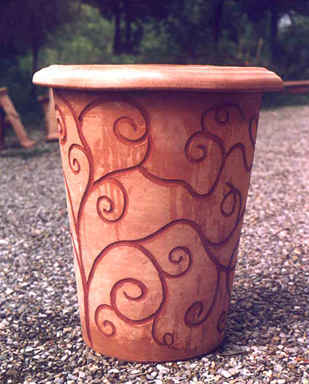 I feel it is an honor and a privilege to offer Poggi's pottery to the most discerning. All measurements approximate. Prices subject to change. Masini 2095 Paniera ovale decorato. 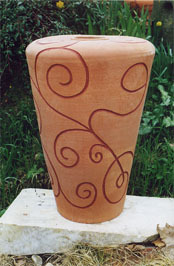 Decorated open oval basket. 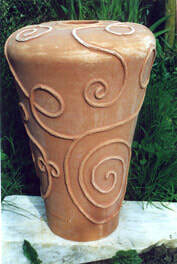 One of a kind terra cotta as featured in Town and Country Magazine. 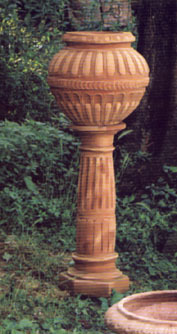 Height: 32" - Base: 12"
Height : 40" - base: 10"
Height: 31" - Diam: 22"
Height: 27" - Base: 14"
Height: 36" - length: 22" - width: 14"